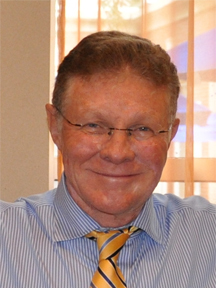 Attorney | Attorney at Law – William Glenn Roy Jr.
William Glenn Roy Jr., was admitted to The Florida Bar Association in May, 1980, and has emphasized the Areas of Practice listed in this website. In his Central Florida General Practice, Mr. Roy has successfully litigated in the areas of real estate law, complex divorce cases, collection cases, construction law, criminal law, traffic defense, bankruptcy adversary claims, and Navy JAG defense. Glenn represents both individuals; and businesses of all types and sizes. Mr. Roy has been admitted to practice in all state courts, including the Fifth, Eighteenth, and Ninth Circuit and County Courts; Florida District Courts of Appeal, and The Florida Supreme Court. Mr. Roy is also admitted to practice before the Federal District Court, Middle District of Florida; and United States Bankruptcy Court, Middle District of Florida; and the Federal Eleventh Circuit Court of Appeals. Mr. Roy is a member of the Orange County Bar Association, the Seminole County Bar Association, and The Florida Bar. He is a member of The Florida Bar Real Property Probate and Trust Law Section; Family Law Section; and General Practice Section. Mr. Roy is a 1969 graduate of the University of Florida with a Bachelor of Science in Broadcasting (B.S.B.R.) degree from the School of Journalism. While on active duty with the U.S. Navy, he earned a Master of Business Administration degree from the University of West Florida in 1977. Mr. Roy then graduated with a Doctor of Jurisprudence degree, with honors from Cumberland School of Law in 1980. In 1967, while attending the University of Florida, Cdr. Roy, volunteered for the United States Naval Aviation Reserve Officer Candidate School, and completed AVROC training during the summers of 1967 and 1968. After graduation from UF in the summer of 1969, Cdr. Roy went on active duty at NAS Pensacola, where he was initially assigned as a Navy Aviation Recruiter in Southern California. He commenced Primary Flight Training at NAS Saufley Field in Pensacola, and then followed the Navy jet pipeline through Basic Jets at NAS Meridian in Mississippi; then back to Pensacola to VT-4 for Guns and Carrier Qualifications. Cdr. Roy was then assigned to VT-23, at NAS Beeville, Texas for Advanced Jet Training. Cdr. Roy received his Naval Aviator Wings of Gold in 1972, and was then assigned to the Reserve Air Group, VA-174, NAS Cecil Field, in Jacksonville, Florida, where he completed training in the A-7E Corsair II. Cdr. Roy was then assigned to Attack Squadron Sixty Six, and flew primarily off of the USS Independence where he was a double centurion in carrier landings. In addition to his flying duties, Cdr. Roy performed duties as the squadron Line Division Officer, Communication Officer, Secret Documents Officer, and Electronic Warfare Officer. Cdr. Roy earned qualifications as both a Conventional and Nuclear Weapons Delivery Pilot; with a Special Instrument Rating. After his first fleet tour of duty, Cdr. Roy was assigned to Training Squadron Four at NAS Pensacola where he was an advanced jet flight instructor in the TA-4J, instructing in Instruments, Formation, Tactical Formation, Low Level Navigation, Air To Ground Weapons, and Carrier Qualifications. His non-flying duties at VT-4 included Assistant Operations Officer for Advance Jet Training; and Advanced Jet Training Records Officer. Cdr. Roy was then transferred to Training Air Wing Six, as the Air Wing Advanced Jet Standardization Officer for the TA-4J training syllabus; and he continued his instruction of flight students and he taught instructors under training. It was during this part of his Naval career that Cdr. 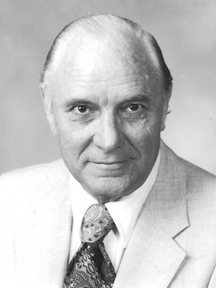 Roy earned his MBA by attending night classes at the University of West Florida. Cdr. Roy accumulated 2000 hours of single seat jet flight time, and 300 day and night carrier landings. Cdr. 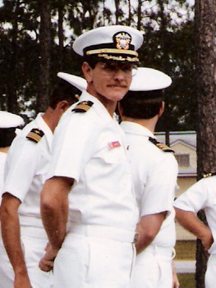 Roy left active duty in 1977, to attend law school, and transferred to the active Naval Reserve at NAS Atlanta, Georgia. Cdr. Roy was assigned to A-7E augmentation unit VA-2205, and performed as Training Records Officer and Small Arms Training Officer. Cdr. Roy continued in the Naval Reserve after graduation from law school, and transferred to A-7E augmentation unit VA-2267 at NAS Cecil Field, Florida. There he was assigned as Squadron Training Officer. After his promotion to the rank of Commander, he was assigned as Commanding Officer of the VTU at Naval Reserve Center Orlando; then as Commanding Officer of Naval Weapons Station Charleston 608. Cdr. Roy then attended the Naval War College Operations Course. He was then assigned as Executive Officer of a NAVSEA unit. Cdr. Roy retired in 2005 with 33 years of honorable Naval service. Cdr. Roy was a designated U.S. Navy Judge Advocate General (JAG) Defense Attorney and practiced before military court martial tribunals at Naval Training Center Orlando. FAA licensed Commercial Pilot: single engine land, multi-engine land, multi-engine center line thrust, commercial instrument. Life Member Navy Memorial, Washington, D.C.
Melbourne High School- Lettered Varsity Basketball, JV Basketball, JV Baseball. Goodchute, LLC; 413 Central Office, LLC; 411 Central Office, LLC. M.B.A. Government Contracting, Florida Institute of Technology (June 1969). Legal Background: Contracts Manager for the Martin Company, for Titan II, Gemini, Titan III. Corporate Counsel, Dow Chemical, Washington, D.C.
Corporate Counsel Dow Chemical Corporation: World Wide Real Estate; Purchasing Contracts; Personal Attorney for Senior Executives. Private Practice: civil litigation; corporate law; and real property. Eighteenth Judicial Circuit and County Courts. Ninth Judicial Circuit and County Courts. Memberships: National Contract Management Association: Charter Member Cape Canaveral Chapter; National Vice President and Board of Directors; Honorary Life Member, with designation as a “FELLOW” and a Presidential Citation; member 38 years. Military Service: Florida National Guard: Company “H” 124th Infantry: three years; machine gunner. Enlisted U.S. Navy September 23, 1939. 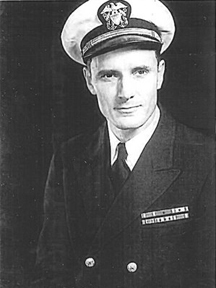 LCDR Roy has received numerous medals and citations for his Naval service in World War II and The Battle of Midway.